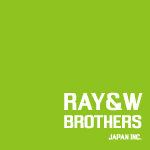 Mission | RAY&W BROTHERS INC.
We find something that everyone can easily incorporate into life. And We share it. We create your wonderful days.